CFS Central: In your study, one group of patients received cognitive behavioral stress management (CBSM) for 12 weeks, while the controls participated in a psycho-educational seminar for one afternoon. In a placebo-controlled drug trial, one group of people would be given a drug and another group would be given a placebo for the entire length of the drug trial, not just one afternoon. Why didn’t the controls participate in some activity—say talk therapy—for the same 12 weeks, instead of only one afternoon? Dr. Michael Antoni: You raise a good point, which is the importance of using a time and attention-matched control when conducting trials determining the efficacy of interventions. In that this study was a pilot we were trying to determine feasibility of delivering the intervention, assuring that it would not be harmful, and that it would present a meaningful experience for the patients. The one-day seminar “control” condition is best conceptualized as enhanced standard care in that it provided a minimal additional element to the patients’ ongoing standard medical treatment. For some patients this one-day experience was akin to learning self-help techniques. Due to the lack of equivalent contact time between conditions, one cannot however, rule out the possibility that the effects of our stress management condition were due to the extra attention it offered. Having completed this pilot work we are currently using a time and attention-matched control in our current work. CFS Central: In your study, the symptoms of the controls worsened over the course of the 12 weeks. CFS does not normally cause such deterioration in the short term. It’s a waxing-and-waning disease in the short term. Why would all patient control symptoms deteriorate? Antoni: To clarify, not ALL control patients showed a worsening of any outcomes over the 12 weeks, but rather these were the group mean or average pattern of change for those assigned to the control condition. Further, there was no evidence that patient controls showed changes in ALL symptoms over time. In terms of the time frame used, again since this was a pilot study the follow-up period was quite short. Ongoing work is following patients over longer intervals. CFS Central: If the controls had not deteriorated, would the improvements in the treated patients be statistically significant? Antoni: The strongest effects observed in the stress management group were for an increase in quality of life, effects that are significant independent of control group changes. Other effects reported are a combination of improvements in stress management and decline in controls. CFS Central: According to your study, 44.9 percent of the CFS patients in your study were on disability at the start of the study. How many patients were on disability at the study’s completion? Antoni: We only measured disability, occupational status and assorted lifestyle and demographic variables at baseline, hence information on changes over time is not available. CFS Central: In Table 2 in your study, it says that “perceived stress” decreased during the course of this study from 29 to 27. What does “perceived stress” mean? Antoni: The Perceived Stress Scale is a 14-item self-report measure that taps a respondent’s perception of the stress in their lives over the past month and gets at how overwhelmed they feel with the demands of life, how much they feel that things are mot going their way, etc. CFS Central: In your study, the authors state: “This intervention has the potential to offer a reasonably low-cost self-regulatory approach to the management of this perplexing syndrome.” What do you mean by “management” when it comes to CFS? Antoni: “Management” here refers to managing the demands and challenges of everyday life as well as the challenges of CFS in particular. CFS Central: We know stress can exacerbate chronic diseases and that cognitive therapy or talk therapy might be helpful in some cases in dealing with chronic illnesses. We’ve seen many studies attesting to the benefits of cognitive therapy with chronic disease, particularly in the case of CFS. My question is why do we need another study to tell us the same thing, while patients are very ill or dying of CFS due to lack of efficacious treatments for their physical problems? Antoni: The CBSM intervention tested here is broader that Cognitive therapy in that it blends a combination of anxiety reduction techniques with interpersonal and communication techniques with cognitive therapy in a supportive group to address “stress processing”. This is quite distinct from most other Cognitive Therapy approaches that target physical activity and de-conditioning. This is an entirely different approach. CFS Central: Four CFS patients I interviewed back in 1994 for the article "The AIDS Drug No One Can Have" for Philadelphia magazine, on the experimental HIV and CFS drug Ampligen, have since died from the disease. Patients die from rare cancers and heart failure 20 years earlier than their life expectancy should be. Others are bed-bound or house-bound and experiencing seizures, chronic infections, heart failure and short-term memory loss. Do you see a disconnect in the cognitive therapy that your study advocates and the severe physical disease and death patients are experiencing? What should be done about helping these severely physically ill patients? Antoni: No disconnect at all. Again the CBSM program that we used is designed to help people manage stress better in order to possibly influence neuroimmune processes that can exacerbate immunologic activation and symptoms. This form of intervention has been shown to reduce stress, anxiety and negative mood states in parallel with salutary effects on neuroendocrine and immune system indicators in a range of populations including persons with HIV/AIDS and different cancers. Whether or not bringing about such changes can influence CFS symptomatology is a major thrust of our current research. Whether or not CBSM can help persons who are house-bound and otherwise experience limited mobility is also a consideration in our work as we develop and test ways to deliver CBSM to patients’ homes via advances in telecommunication technology (e.g., telehealth). CFS Central: In your article, it says: “Group-based CBT combined with body awareness and exercise training has also been shown to be effective for CFS in recent work . In footnote 38, you reference this study: “Cognitive behavioral therapy v. mirtazapine for chronic fatigue and neurasthenia.” Sixty-five of the 94 patients in that 2008 study met only the Oxford criteria of the disease, which excludes physical symptoms. This is an outdated definition of CFS. Patients with true CFS—as opposed to simple fatigue or neurasthenia patients in this 2008 study—are physiologically ill, not mentally ill. Why are you referencing an out-of-date definition of the disease and patients who do not have bona fide CFS? Antoni: We referenced this article (38) because it used a group-based approach. We use an updated definition of CFS in choosing the samples for our research and believe others should do so also. CFS Central: In addition, large patient surveys as well as the findings of several studies and most CFS-literate physicians have concluded that exercise can cause patients with true CFS more harm than good. Are you aware of these findings? Antoni: We are aware of these findings. No part of our intervention promotes an increase in physical activity and we do recommend that patients not change their physical activity levels without the explicit guidance of their physicians. It would be fruitful to compare the effectiveness of an approach like CBSM, that focuses on cognitive, behavioral and interpersonal techniques to better manage stress VS. cognitive behavioral therapy targeting physical de-conditioning, given that the latter has previously been promoted as an effective approach. Healkick is a new forum for patients in their 20s and 30s with neuroimmune diseases, including ME/CFS, chronic Lyme, multiple chemical sensitivity, fibromyalgia, mold illness and atypical multiple sclerosis. The group’s founder, a 27-year-old chronic Lyme and ME/CFS patient named Joey, has been sick for five years. Joey identified the need for a virtual place for patients under the age of 40 to come. Joey's looking to enrich his life beyond his present routine—which he hasn’t lost his sense of humor about. “Basically, I go to Whole Foods [supermarket] for coffee and green juice at the bar in the morning, do computer work at Whole Foods (they have free WiFi!) on my computer at the bar, grab a bowl of noodles at Whole Foods, do [more] computer work at Whole Foods, [and] grab a whole chicken to take home for dinner,” he says. “And that's all. It's a very constrained routine, and I'm basically in a seriously committed relationship with the Whole Foods bar right near the exit door of Whole Foods (so I don't need to do much walking) to [meet] basic survival needs and work on this project simultaneously." Joey became ill with mononucleosis five months into his first job, at PricewaterhouseCoopers in San Francisco doing corporate fraud investigation, after graduating from University of California at Berkeley. After a “14-day fever from hell,” he became bedridden. When he didn’t improve, he moved back home to Los Angeles. At the airport, his mother didn’t recognize him. A year later, Joey was diagnosed with ME/CFS and eventually with chronic Lyme as well. He’s tried a variety of treatments—from the antiviral Valtrex to immune transfer factor to Armour thyroid, plus sleep medications, steroids and antibiotics. Now, Joey’s living in Las Vegas, Nevada, and looking into the experimental drugs GcMAF and Ampligen as well as targeted chemotherapies to eliminate viral reservoirs. Chronic Fatigue Syndrome: a Novel is a visceral revenge story so cinematic it feels more like a movie, as over-the-top and satisfying as Straw Dogs or Death Wish. Author Caroline T. Anderson has cast rapacious insurance company executives as the bad guys. Out to deny ME/CFS patients their benefits, they're as evil as Nazi monster Christian Szell in the classic what-goes-around-comes-around novel, Marathon Man. Set on a horse farm in rural Ohio, Chronic Fatigue Syndrome hones in on fearless reporter and leggy babe Alistair McKenney, a single mother of two loyal teenagers. As the book progresses, she morphs into a female Dirty Harry; one of the men in her busy life is described as a dead ringer for Clint Eastwood. When a doctor friend asks McKenney to look into Chronic Fatigue Syndrome, she uncovers far more than she or the doctor bargained for. Cast as a minor villain in Chronic Fatigue Syndrome is the Centers for Disease Control. Although the agency’s Dr. William Reeves isn’t mentioned by name, it appears that’s who novelist Anderson may be writing about. There are weaknesses in the book: Sometimes the information conveyed about ME/CFS hails from an earnest after-school special, and the romantic B plot needs way more time to marinate before it implodes. Yet the brisk-paced novel decidedly works. The author makes the reader feel McKenney's compassion for her bevy of animals, especially her prized horse Blue. The tension in the book keeps building, and the ending will thrill any person touched by ME/CFS: The good guys triumph in a showdown replete with guns, murder and determined townspeople uniting against the evildoers until no one can ignore or malign the disease anymore. Ah, isn’t it pretty to think so? 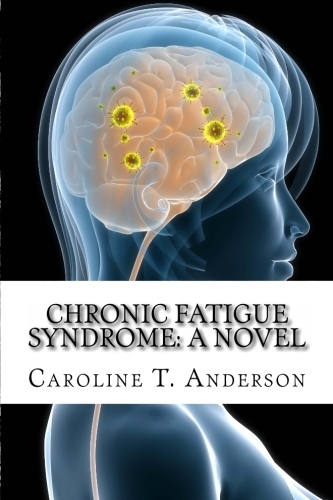 Caroline T. Anderson is the pen name for a reporter who suffered from ME/CFS since childhood. After more than 40 years living with the disease, she recovered with a combination of the antiviral famcyclovir and the old-line arthritis/lupus drug methotrexate. Who Responds to the Drug GcMAF? After researching, W.L. Karns and I have come to the conclusion that autism expert Dr. Amy Yasko is incorrect in saying that the G allele in the bsm/taq SNP (single nucleotide polymorphism) of the Vitamin D Receptor gene is the mutation. Several Pubmed studies indicate that the more common G allele is the ancestral allele and the wild type—not the mutation. Thus, in our estimation, patients with the G allele in the bsm/taq SNP as well as the wild type C allele in the fok SNP of the Vitamin D Receptor are the ones that Belgium ME/CFS physician Kenny de Meirleir believes are most responsive to the drug GcMAF. Patients with a double A allele in the bsm/taq and a double T allele in the fok would be least responsive, and those who are heterogeneous would fall in the middle. The Gene Chart has been changed to reflect this. It makes a certain amount of sense that the SNPs most likely to respond to a drug that affects the Vitamin D Receptor are the wild types in that receptor, not the mutations. CFS Central contacted de Meirleir by email to confirm, but he didn’t respond to this particular question. However, Dr. Nobuto Yamamoto, the world’s foremost expert on GcMAF, says in his experience it makes absolutely no difference whether patients have mutations in these two SNPS. “The efficacy of GcMAF depends on the capability of the patient’s macrophages [to be] activated,” he explained in an email. “Macrophage activation [has] nothing to do with VDR polymorphism.” In fact, he wrote, an inability to respond to GcMAF would be fatal. GcMAF works by turning on white blood cells called macrophages, which gobble up pathogens and activate other immune cells. In the large number of patients who've been treated with GcMAF, Yamamoto has never observed an inability to respond to the medication. So the jury’s still out on whether certain SNPs in the Vitamin D Receptor gene influence the efficacy of the drug GcMAF in treating ME/CFS—or for that matter, any other diseases. After preliminary research yesterday, W. L. Karns and I suspect that the G allele is not a mutation in Bsm/Taq in the Vitamin D Receptor gene (VDR), and that, instead, A is the mutation. (See the Gene Chart and post from Monday.) This adds more confusion to the already complex and perplexing genetic findings in ME/CFS. Autism expert Dr. Amy Yasko has said that G is the mutation in Bsm/Taq (which she indicates with a + sign), but we suspect this is incorrect. We assumed Yasko was correct when we created the Gene Chart. Once we're certain that A is the mutation, the chart will be changed to reflect what we suspect is correct: that G is the wild type and A is the mutation. The G allele in snp RS 1544410, which is what Yasko and some others refer to as Bsm/Taq, is the ancestral allele. We will check the VDR Fok mutation as well. On another note, ME/CFS patient Gerwyn Morris had a letter published in which he critiqued the methodology of the recent Hohn PLoS ONE paper, "No Evidence for XMRV in German CFS and MS Patients with Fatigue Despite the Ability of the Virus to Infect Human Blood Cells In Vitro." The patients more likely to respond to the GcMAF/Nexavir cocktail appear to be those expressing the wild type (no mutations) in VDR “Fok” and a double mutation in VDR “Bsm/Taq,” an unusual combination. Those with the opposite profile—a double mutation in Fok and no mutations in Bsm/Taq (another unusual combination)—have reportedly not responded to the drug cocktail. The health of those squarely in the middle, with single mutations in both Bsm/Taq and Fok—the most common combo in both ME/CFS patients and healthy controls—is also improving on GcMAF and Nexavir, according to de Meirleir, though not as dramatically as those with double mutations in Bsm/Taq and wild type in Fok. One helpful blood marker for responders is an accompanying rise in Vitamin D levels, which can be depressed with patients with mutations in the receptor and in patients with ME/CFS. It’s not clear how patients with other permutations of Fok and Bsm/Taq mutations have responded to GcMAF and Nexavir. The technical term geneticists use for a mutation is SNP (pronounced SNIP), which stands for Single Nucleotide Polymorphism. The “Reference SNP” number is abbreviated “rs.” Many SNPs have more than one rs, some have none, some are numerical, others have letters. Why? For no other reason that the fact that the rs numbers haven’t been standardized—as if things weren’t complicated enough. To simplify matters, autism specialist Dr. Amy Yasko and others use terms like “Fok” and “Bsm/Tak” instead of rs numbers when discussing certain mutations in the VDR gene. The chart (see URL below this post) was compiled by W. L. Karns and me. The 49 patients included in the chart all have been diagnosed with ME/CFS. Some of the initial patient data was compiled in 2009 by "Sue." Patients’ names have been replaced with numbers to protect their privacy. Below the genetics of these 49 patients are the genetics of healthy populations from studies we found on Pubmed. We included controls because we wanted to see how the distribution of mutations in ME/CFS patients compared with the general population. By statistical analysis, ME/CFS patients did not differ significantly from controls, mutationally speaking, in most cases. (However, that doesn't mean that mutations can't cause problems, especially for those with chronic illnesses.) There were six exceptions: ACE, one COMT SNP, one MTHFR SNP, one MTRR SNP, one AHCY SNP, and one BHMT SNP, where more ME/CFS patients sported genetic mutations than their healthy counterparts. The black boxes distinguish these six SNPs. Amy Yasko’s lab tested most of the ME/CFS patients. (Some autistic children have parents with ME/CFS.) The genetic testing company 23andMe tested the rest. Note that the two VDR SNPs are in pink. (There are many more VDR SNPS that Yasko and de Meirleir’s laboratory, Redlabs, don’t test for. 23andMe, for instance reports on 80 VDR SNPs.) Below the word “VDR” on the chart are the different rs numbers, letters or names for the SNPs. The “yes” directly underneath signifies that 23andMe tests for it. (The company tests for nearly 600,000 mutations but doesn’t test for all the SNPs Yasko tests for.) Next are the results of 49 ME/CFS patients. Those with -/- have no mutation in that SNP. Those with +/+ have a double mutation. +/- means there’s a single mutation. We compared the data from the 49 ME/CFS patients with the general population. The study source for that data is blank because Google Docs doesn’t allow for rich text of the Excel file from which this chart hails, and putting in the whole address would take up too much space. The percentages in white represent ME/CFS patients; in purple are the controls. Also included in the chart are both the P value (P stands for probability) and the statistical method used to determine whether the mutation percentages are statistically significant. In the case of the two VDR SNPs, it’s a chi-square distribution, and the ME/CFS population doesn’t differ significantly from the general population. Some of the other SNP stats were calculated through FET, which stands for Fisher’s Exact Test. Blank spaces mean either the SNPS weren’t tested or there is no data. ACE, one of the few genes in which more patients than controls had mutations, isn’t really a mutation at all, but a deletion. The MAO gene resides on the X chromosome, so males, who have only one X chromosome (which they inherit from their mothers), have only one MAO SNP. Females have two X chromosomes—one inherited from each parent—so they sport a pair of SNPs. In the interest of simplicity, Amy Yasko lists males with a +/+ or a -/- for the MAO gene. In actuality, however, males have only one – or +. 23andMe uses the letter “T” to signify +. Genetic research is difficult because of the double whammy: So little is known, and so much of what is known is confusing. This article and the accompanying chart are copyright CFS Central 2010. All Rights Reserved. You may quote up to 150 words from this article as long as you indicate in the body of your post (as opposed to a footnote or an endnote) that the excerpt is by Mindy Kitei for CFS Central. You may not reprint the chart or more than 150 words from this article on blogs, forums, websites or any other online or print venue. Instead, refer readers to this blog to read the article and view the chart. Tip jar: Your donations enable in-depth CFS reporting to continue. This website and its content are copyright of © CFS Central 2010. All rights reserved. This site serves educational purposes only and is not intended to prevent, diagnose, treat or cure disease. The content on CFS Central is not intended as a substitute for medical advice.